These square butter dishes are practical and beautiful. 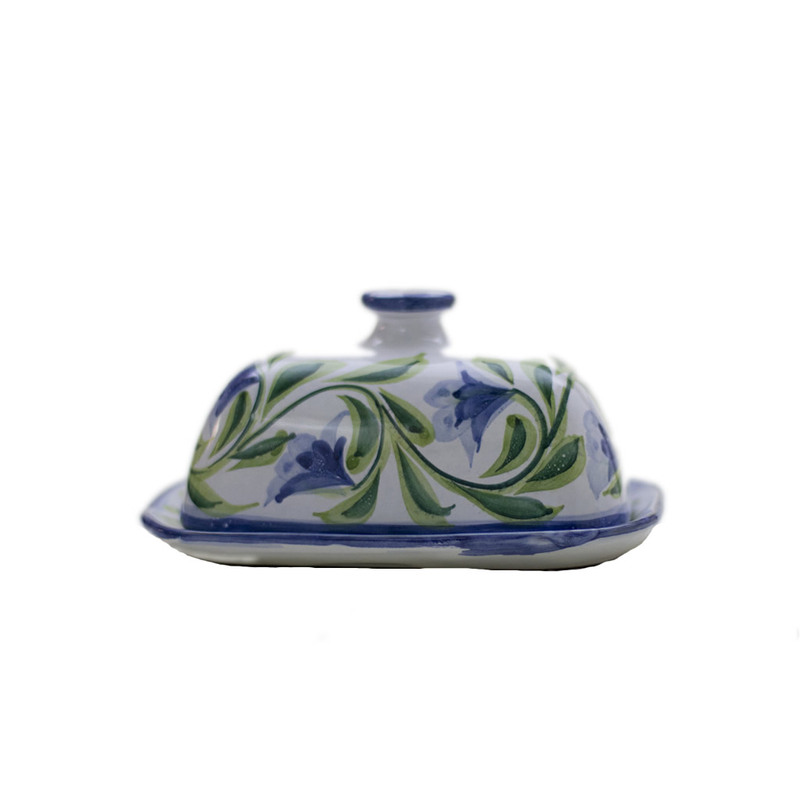 They will keep your butter protected and fresh, while looking great on your breakfast table. The Lily Flower design is an light, elegant pattern with a classical blue border trim, delicate blue flowers and green stems and leaves. It is perfect for any occasion and all seasons.